News & Blog Can uPVC sash windows really work as replacements for original sash windows? Can uPVC sash windows really work as replacements for original sash windows? When it’s time to replace your original sash windows, what options are available to you? 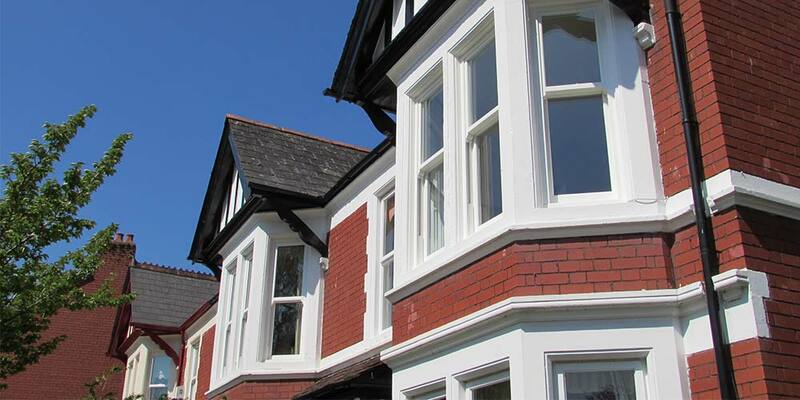 You may think that the only way to maintain your home’s traditional appearance is with timber replacements. Perhaps you’ve heard that modern uPVC sash windows can faithfully replicate the traditional style but you’re still unsure about their authenticity. Whether you’re a homeowner looking to replace your original sash windows or you’re a window installer who regularly works on traditional properties, you’ve probably often wondered whether uPVC sash windows are a suitable replacement for original timber sash windows. You might be pleasantly surprised to hear that the answer is most definitely yes. Roseview uPVC sash windows are the perfect choice for a timber sash window replacement and here’s why. When you want to offer your customers all the benefits of a low maintenance and high performing window with the attractive appearance of its timber counterpart, the Rose Collection is an excellent choice. Traditional properties are much sought after. They are popular because of their unique aesthetic and individual character. If you regularly work on traditional properties, you’ll understand the importance of maintaining their heritage aesthetic. Sometimes, however, you may feel that a compromise is needed between modern performance and traditional aesthetics. With the Rose Collection, no compromise is necessary. Authenticity is an integral part of an older building and at Roseview we’ve created uPVC sash windows that are almost indistinguishable from real wood. If you’d like more information about our uPVC sash windows contact us today. Call Roseview Windows on 01234 712 657 or send us a message online.